Ron Matusalem Aged is a blend of the best aged rums using the Solera method. It is a delicious and refined rum from the Dominican Republic. Delicate aromas and soft palate. 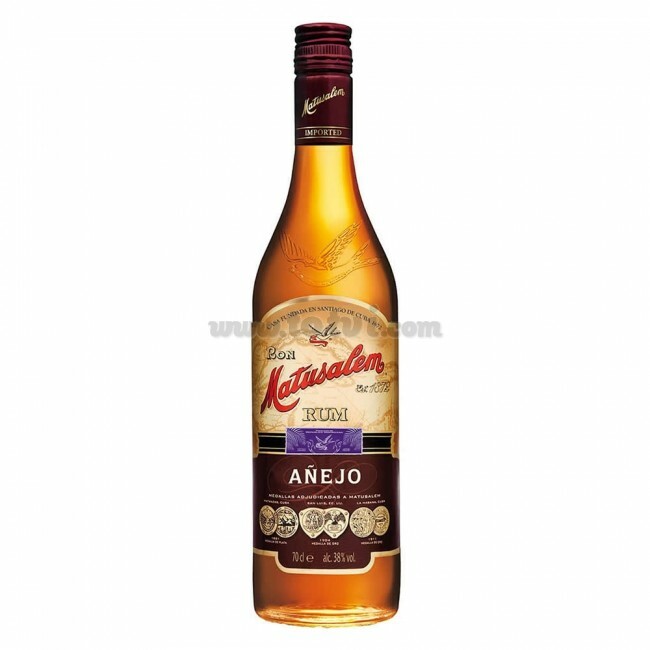 Ron Matusalem Aged is a blend of the best aged rums using the Solera method. Golden Colour. In the nose aromas of vanilla and nuts, accompanied by subtle and sweet honey, followed by delicate aromas of caramelized molasses. Soft mouth on the palate, with a delicate and balanced taste of nuts and creamy notes. Ideal for combining and for the use of cocktails like mojitos.